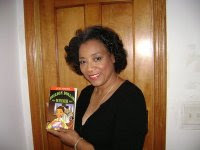 Arlene Jones - Featured Columnist Austin Weekly News: Best News In A Long Time! March 17, 2009 (WLS) -- A group of protestors is planning a less-than warm welcome for members of the international Olympic committee. An organization called No Games Chicago says it now has a permit to protest in Federal Plaza April 2. That's the first day of the International Olympic Committee's evaluation commission visit. The group also wants to march to the Chicago 2016 offices in the Aon Building. It's unclear whether police will allow that to happen. Often times the human accumulation of African Americans takes many, many years to produce results. When the protests are mixed race accumulations, then results seem more glamorized. I say let the World know through the use of protest what Economically Challenged Chicagoans feel is happening to their communities. Use technology to advance the message world wide. Post video testimonies, photos, blogs, websites and whatever other method of communication is available. Protests are fine, but what a re-education on what voting should be about-the best candidate, not party, not ethnicity, not race, but the best candidate.